Many Americans have been affected by the recent economic crisis. Millions of homes have gone into foreclosure, and millions of families have lost their homes. If you are at risk for losing your home, the good news is that there is something you can do about it, but it largely depends on your ability to get back on the right track financially. If your lender agrees to a mortgage loan modification, you have a good chance for saving your home from foreclosure, and avoid the nightmare of losing your home. 1. Wells Fargo & Company: As of March of 2013, Wells Fargo, whose vision is “We want to satisfy all our customers’ financial needs and help them succeed financially”, is the best ranked financial institution in market value in the country. The company has its headquarters in San Francisco, but serves its U.S. and international customers through their 9,000 stores, their website and their 12,000 ATMs. Wells Fargo offers their 70 million clients worldwide services such as banking, mortgage and insurance, and is an industry leader in the U.S., being the first ranked retail mortgage lender and mortgage servicer in the country. 2. JP Morgan Chase: One of the largest financial services company in the world, JP Morgan Chase started its business more than 200 years ago. The firm has assets of $2.4 trillion, and operates in the Unites States, as well as internationally, in more than 60 countries. Some of the services offered to the U.S. customers include credit cards, home finance, education finance, retirement, auto finance and investing. 3. Citigroup: Citigroup opened its doors for the first time in 1812. It only had 1 branch and 22 employees. Today, it is one of the best-known financial institutions, operating in 160 countries and territories, and employing more than 260,000 people. Since 2007, Citigroup, through Citi Mortgage, has helped over 1 million people to avoid foreclosure. The company also launched its Road to Recovery program, to support afflicted U.S. homeowners. 4. Ocwen Financial Corporation: With an experience of more than 20 years, Ocwen is the leading high-risk loan servicer in the country. Ocwen is based in Dunwoody, Georgia, but has offices in other cities across the country, too, and has a license to service loans in all U.S. states and territories. Since February 1, 2013, GMAC Mortgage transferred part of its loans to Ocwen. 5. Bank of America: This multinational financial corporation is one of the country’s largest bank holding companies. Along with its competitors, Wells Fargo, JP Morgan Chase and Citigroup, Bank of America is one of the Big Four banks in the U.S.
Bank of America and its subsidiaries, Merrill Lynch and U.S. Trust, offer its clients a wide range of services, such as consumer banking, mortgage, corporate banking, credit cards and wealth management. 6. U.S. Bank: The 5th largest bank in America, U.S. Bank, has assets totaling more than $355 billion. The company offers financial services to consumers in more than 25 U.S. states, and has operations in Europe and Canada, as well. U.S. Bank was ranked first in customer satisfaction three years in a row (2010-2012), and over the years has received numerous rankings and awards. 7. PNC Bank: PNC Bank is the main subsidiary of PNC Financial. The firm is headquartered in downtown Pittsburg, PA, and has over 50,000 employees. PNC is one of the country’s top mortgage lenders, with a loan portfolio of $122 billion. The company has over 90 mortgage offices in the U.S. and 2,800 Retail Banking stores, where its customers are served by knowledgeable mortgage professionals. 8. SunTrust Bank: This financial firm was established in Atlanta, Georgia, and operates in several states in Southeastern U.S.
As of March 2013, SunTrust has $173 billion in assets, and approximately 30,000 employees, who work together to offers quality financial services to U.S. clients. Some of the bank’s offerings are mortgage banking, credit and deposit services, retail banking, as well as insurance, asset management and mutual funds. 9. Provident Funding: Provident was founded in 1992, and is the country’s second largest private mortgage firm. The company is licensed in 47 U.S. states, has a $60 billion loan servicing portfolio and more than 280,000 clients. Freddie Mac’s “Top 25” ranked Provident the best servicer for default management, and it also named the mortgage company “Hall of Fame Servicer”. 10. Branch Banking & Trust Company (BB&T): Headquartered in Winston-Salem, NC, BB&T operates in 12 states, has over 1,800 branches and more than 30,000 employees. BB&T received many awards, and is recognized by J.D. Power and Associates for outstanding customer satisfaction. Having an open line of communication with your lender is very important, and will help you to easier reach an agreement with them. Lenders are not obligated to give you a mortgage loan modification, but being upfront and honest with them will certainly increase your chances of saving your home from foreclosure, and painlessly get back on your feet financially. Prices and current mortgage rates are very low right now, and it may seem like the perfect time to buy a home, but things are not as good as they seem in the real estate world. Inventories of homes for sale are extremely low and home builders are just starting to recover from the recession. Homes listed for sale receive a lot of offers, which makes it very stressful for all home buyers. 1. Find a Good Real Estate Agent. In a sellers’ market, sellers receive multiple offers on their home, so things tend to move faster than usual. You will need to be quick and have knowledge of the whole process. A very good real estate agent will greatly increase the chances of you getting the home that you are looking for. He or she has to know the area, have good relationships with many other real estate agents, and give you the best advice when it comes to making an offer on a home. 2. Know the Process. Do some research on the whole home buying process. From knowing what to look at when considering a house or apartment, to knowing the steps involved in buying a home, this process can be overwhelming. You must also be aware of what you are looking for and what the home prices are in your area. Having a good real estate agent is enough for most people, but knowing a few things about what buying a home involves can help you act quickly when needed, and avoid a lot of headaches. 3. Get Pre-Approved with a Good Lender. Getting pre-approved for mortgage loans will involve some running around in order to get the paperwork ready, but it is an important step in buying a home, as most sellers will not even consider your offer otherwise. Preparing all the paperwork before even starting looking at houses is always a great idea which will save you a lot of time, and give you the advantage of acting quicker when you find a home. 4. Act Quickly. After finding a home that you like, don’t wait too long before making an offer. The more you wait, the bigger the chances are that more people will become interested in that home, and your competition will increase to a point where someone else will make a more attractive offer. 5. Pay the Closing Costs. Because it’s a sellers’ market, the seller will most likely have a bunch of offers for his or her home. Asking the seller for closing costs credit will put you at a disadvantage, as there might be other buyers who didn’t ask for credit. For example, if the sales price of a house is $450,000 and you need a $15,000 credit for closing costs means that the seller will only get $435,000 for the house. Even offering him $465,000 and asking for closing costs credit will put you at a disadvantage, because the seller will have to pay more in commission, tax and title fees. 6. Expect to Pay Market Value. Adjust your offer according to sales prices in the area that you are interested in. If your initial bid is too low, you may ruin any chance of getting that house. In a sellers’ market prices usually keep going up and you need to adapt before making an offer. 7. Good Faith Deposit. While a good faith deposit, or an earnest money deposit, doesn’t normally have a set requirement, sellers in a sellers’ market expect buyers to show a little more “good faith.” Normally, good faith deposits are between 1 and 3 percent of the sales price. 8. Be Flexible. If you can offer a larger down payment or if you can move in any time after you buy the home, then make sure you mention it. Also, if you plan on fixing and improving things in your new home, then it’s generally best not to be too picky after you inspect the house or apartment. 9. Write a Personal Note to the Seller. A personal letter that includes a little about yourself and why you like the seller’s home can make you stand out from other interested parties, or it can make a big difference if the seller has another offer similar to yours. 10. Don’t Give Up. In a sellers’ market, the chances that some of your offers will be rejected are very big. Try not to take it personally and, more importantly, don’t give up. While it is disappointing, keep in mind that the seller is only making choices based on what is best for him or her. Buying a home in a sellers’ market, when prices are high and your offers keep getting rejected, can prove to be a challenge, but doing a little research on the subject can go a long way and save you a lot of trouble. Buying a home is a dream come true for most people. While becoming a home owner usually involves a great financial sacrifice, it does come with some perks, besides owning your own home, of course. Many expenses related to your home are tax deductible, and these deductions apply to any type of home: town house, apartment, mobile home, single family residence and more. Unfortunately, this will complicate your taxes, but the extra effort put into detailing your deductible expenses is well worth it. From the time you become a home buyer until you decide to sell, your home will provide a lot of tax benefits. Consulting a professional advisor in order to get all the details is always a good idea, but here is a list of the top 10 tax deductions for home buyers. 1. Mortgage Interest Deduction. If your mortgage loan is less than $1 million, then the interest that you are paying is tax deductible. For the first few years, your monthly payment will be mostly made up be interest, so this tax deduction will make our home more affordable, especially if you are a first time home buyer. 2. Points Deduction. When taking out a mortgage loan, your lender charges you a variety of fees. One of these fees is called “points” and one point equals 1 percent of the principal on the loan. Unlike in the case of a mortgage refinance, where the points are deducted over the life of the loan, when buying a home with a mortgage loan, the points are fully deductible up front. 3. Interest Deduction on a Home Improvement Loan. If you take out a loan in order to make “capital improvements” to your home, be aware that the interest on this loan is tax deductible. Capital improvements are improvements to your home that increase its value or extend its life, and should not be confused with simple repairs. In case of a loan taken out for repairs to your home, the interest will not be deductible. 4. Equity Loan Interest Deduction. A portion of the interest that you paid on a home equity loan or line of credit can be deducted, but there is a limit set by the IRS on how much you can treat as home equity. This limit is $100,000 for a family or $50,000 per each member of the married couple, or the home’s market value. 5. 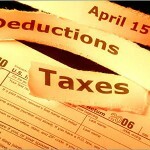 Property Taxes Deduction. 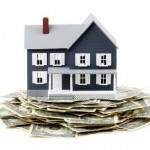 A large part of your monthly mortgage payments will be represented by property taxes. The amount is held into an escrow account in order to pay the property taxes yearly. You can only claim this tax deduction when the money is taken out of the escrow account and paid. 6. Private Mortgage Insurance (PMI) Deduction. When getting a mortgage loan, if your down payment is less than 20 percent, you will usually be required by your lender to pay a Private Mortgage Insurance. This type of insurance can represent a large portion of your monthly payment, and it is tax deductible, but only for those who qualify. 7. Selling Profit Deduction. Up to $250,000(or $500,000 for a married couple) of the profit that you or your family make from selling your home is tax deductible, with the condition that you have owned your property for at least 2 years and the home has been your primary residence for 2 of the past 5 years. 8. Home Office Deduction. If part of your home is used as an office, you will be able to deduct a percentage of your mortgage and utilities. There are a few requirements, in order to qualify for this deduction: your home office has to be your primary office location for your business, it must be used only for business, and its size has to be realistic. 9. Health Related Improvements Deduction. Making improvements for medical reasons to your home can be tax deducted, as long as the improvements are made for a chronically ill person. 10. Moving Expenses Deductions. If buying your home is a result of your need to relocate for work, then you might be able to deduct the cost of moving and other related costs. However, your new job must be more than 50 miles further from where your old job was. Buying a home can provide some important benefits when the time comes to file your federal tax return. From deducting your mortgage interest, to tax deductions related to your relocation, there are a lot of areas in which you can save money, as long as you qualify and do your research. Since the housing bubble burst in 2008, most people don’t trust the real estate industry anymore. The housing market is slowly recovering, and statistics show that most Americans would buy a home in the next few years, even if they expect the prices to go up in the near future. Prices on homes have already started to climb, with a steady increase in almost each month of 2012. National home prices have increased by over 6 percent in October last year. In California, one of the states that were the most affected by the housing market crash, more than 50 percent of the homes listed for sale received multiple offers from eager buyers. The same trend was followed by Florida and Arizona last year. 1. An Increase in Home Prices. With builders not being able to keep up with the demand for new houses, prices for older houses will continue to increase. The construction of new homes is almost three times lower than it should be to keep up with the population increase and the recent job growth. The inventory of homes for sale is at the lowest since 2006, and economists predict a 5 percent increase in home prices for 2013. 2. An Increase in Rent Prices. The job growth will push most people, who moved in with their parents or with friends back when the economic problems started, to start looking for apartments and houses to rent. This will create a lot of demand for rentals, which will cause rent prices to increase by up to 9 percent in 2013. 3. Less Good Deals on Foreclosed Homes. Sales of foreclosed homes represented only 11 percent of all home sales in 2012, down from 28 percent in 2011, and are expected to be even lower in 2013. This happened because banks have sold many distressed home loans to companies who agreed on new terms with the borrowers, instead of foreclosing. 4. An Increase in Short Sales. Instead of dealing with an expensive and time consuming foreclosure, banks prefer that the borrowers sell their home for less than what the mortgage is worth. In many cases borrowers are not required to pay the difference, which will generate more short sales, while the number of foreclosures will diminish. 5. An Increase in First Time Home Buyers. It is predicted that the growth in demand for homes in 2013 will be caused mostly by first time home buyers. 6. Bigger Home Building Costs. Even if new constructions are at a low level right now, construction materials are at high prices. The labor costs are also high because many construction workers left the industry when the crash occurred. The demand for new homes will lead to even higher costs for new construction in 2013. 7. Property Management Increase. Foreclosed homes that have been sold to investors in the past are now entrusted to professional property management organizations to maintain and rent. The number of foreclosed homes that will be sold to investors will increase in 2013, and so will the number of property management companies needed to manage them. 8. An Increase in Mortgage Interest Rates. Current mortgage rates have been at an all-time low lately, so predictions indicate that they will only go up in 2013. However, the interest rates will only slightly increase, to an average of 4 percent. 9. Credit Requirements. In order to get approved for a mortgage loan, your credit score must be in the 760s right now, but this might change in 2013. As more and more people will buy homes, lender competition will make credit requirements much more lenient. 10. A Two-Tiered Industry. Because banks don’t give out many construction loans, the home builders will be divided into two types: large home builders with access to funds, who can handle big projects, and small to medium home builders, who depend on loans and can’t handle big projects. This will create less competition and bigger prices. The real estate industry has suffered greatly in the last 5 years, but it’s showing signs of recovery. While the worst has passed, there are still plenty of issues that need to be resolved, but that will happen slowly over the next few years. Mortgage modification can be a saving grace for many people, but others are thoroughly disappointed when a seemingly sure thing is denied to them. Lenders may appear to render assistance to all of their customers, but statistics indicate that the cry of homeowners for mortgage modification has fell on deaf ears. However, if you start the process well-informed and a few steps ahead, you have a much better chance for your mortgage modification request to be successful. Ineligibility. The Federal National Mortgage Association (FNMA) cites several requirements for the eligibility of an applicant. One of them is that the loan should have originated before 1st January, 2009. The modification is allowed only once under the program. If it has been modified before, you are disqualified. Insufficient documentation. FNMA provides a list of all the documents that you should present along with your application forms. This includes your detailed credit report, all of your income sources, and a fully signed IRS 4506-T as proof of income. If you fail to provide all of the documents you will not qualify. Type of mortgage. Both fixed rate and adjustable mortgages qualify for modification but interest-only mortgages do not qualify. In an interest-only mortgage, you pay back the interest first within a given period of time after which you start paying the principal. Level of mortgage expense on the first lien. The FNMA has placed a special cap on the level of mortgage expense, given the household income. If it is already below 31% of your total household income, you will not qualify. Payment defaults. Some mortgagors are very strict with mortgage modifications. As a measure of ensuring that you will not land the firm in financial loss, they will look at your credit report to ensure that you have no default or missed payments. The presence of a late payment or missed payment in some cases will warrant a direct disqualification for mortgage modification. Ask questions. Before striking a deal with the lender, know exactly what that mortgagor provides. There could be a misunderstanding in the deal that may lead to future problems. Mistakes can be avoided by asking questions to ensure clarity. Remain persistent. Many homeowners usually become frustrated when their mortgagor asks them to resubmit their documents once again. If you really need the mortgage modification, you should cooperate with the lender as much as possible and remain persistent throughout the process. Seek professional financial help. 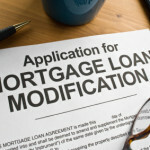 Are you an amateur in the mortgage modification process? If you are not mortgage savvy, it is better to seek professional help from a loan modification firm or an attorney. However, you should avoid revealing your private information such as credit card details to anyone except your lender. The firm or attorney should be approved by HUD. Do not pay any upfront fees. Know your lender. Knowing enough information about your selected mortgage modifier can help you to obtain a better modification. If you find out that the bank actually owns the loan then you stand a higher chance of enjoying more flexible terms. This you can do by directly asking the mortgagor or by visiting Fannie Mae and Freddie Mac online, then inputting your address to find out whether the loan is with Fannie Mae or Freddie Mac. Be very honest. Along with your application forms, the lender requires a significant amount of financial information about you. 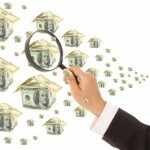 To streamline the process, give the lender all of the details that they require. Don’t fudge any numbers on the forms in order to make yourself eligible- that could catch up with you in the form of foreclosure. Some of the details that may be required of you include your monthly gross income, recent income tax return, savings, other assets, details of your first mortgage, account balances from your credit cards, minimum monthly payments due on all your credit cards and an explanation as to why your income has been reduced. Present an ideal financial hardship letter. This is a polite and detailed explanation about how you found yourself in a deep financial mess. The letter is very important because if your mortgage modification servicer is not convinced with your openness they will have questions as to how straightforward you will ever be. Do not leave any important point out. Be sure to include exact numbers and dates. Be realistic. Your job in the loan modification process ends once you submit all of the required paperwork. Then you will wait until you receive the interest rate offer. In case it is too high for you to repay, don’t sign the deal. Explain to the loan sales executive about the constraints on your budget so that you can manage repaying with relative ease. This is not desperation but realism. Document everything. Keep a record of everything discussed and determined each time you speak to a lender or receive some correspondence. The importance of having a track record of all these details is that you can use them to your defense when a foreclosure knocks at your door. You should also use only certified shipping companies so that some lenders won’t claim that they sent you some documents that you never received. Be flexible and patient. Don’t apply for a mortgage modification and be dead-set on how you expect the process to go. The whole process may take 30 to 90 days before approval. Even if you were told to wait for a call, if by the end of the agreed period there is no response, then you can courteously follow up to find out what the status is on the process. Patience pays at the end of the day. Proof of income. Lenders require all homeowners to provide proof of their income. This you should do not only by providing valid income documents but also a duly signed IRS Form 4506-T that allows the mortgage servicer to access your federal tax returns. In many institutions, this is the leading reason why many applicants are denied mortgage modifications. Learn more about the documentation process for mortgage loans. Mortgage modification enables you to enjoy lower interest rates and manageable monthly repayments. If you have suffered a financial setback through injury, a natural disaster, divorce or any other misfortune, mortgage modification may provide the relief you are looking for to move forward positively with your finances. The Federal Housing Authority (FHA) offers numerous opportunities that are advantageous for single moms. Statistics indicate that slightly less than 35% of the total number of homes in the US are occupied by single parents. Only 40% of those belong to single moms with very low income levels. A single parent caries the burden of many expenses to keep up with the high cost of living in this country, so having access to an affordable mortgage is imperative. Low monthly repayments. Unlike couples, a single mom has sole responsibility for finances. Being a single mom, you have options to obtain an affordable mortgage loan. Some programs can help you budget for mortgage repayments by taking out a portion or all of the payment directly from your paycheck. Access to a variety of mortgage programs. There are many governmental and nongovernmental organizations that provide housing help to single moms. They build quality houses for single moms that come with affordable monthly mortgage payments, which gives easier access to gaining full equity on the home. Access to bad credit mortgages. While couples can add up both incomes in order to qualify for a mortgage, a single mom has just her own to rely on. Many mortgagors have made it easier for single moms to qualify for mortgages by allowing mortgages for bad credit. This means that even with a low credit score, a single mom can still qualify for a mortgage. Flexible refinancing solutions. Many mortgage loans for single moms have a refinancing option attached to them. This feature is meant to keep the single mom up to date with any changes taking place in their loan. Their credit rating actually improves over time through this plan. Such refinancing solutions protect against repayment default. Check your credit score. Before you embark on the finer details of obtaining a mortgage, look at your credit report. Having a score above 700 is ideal- even having a score of 698 will raise your interest rate by a third of one percent, translating to a significant amount of extra money spent in the long run. The higher the credit score, the lower the interest rate, which means easier access to a mortgage. Weigh the advantages and disadvantages. As noted before, single moms have many expenses, including food, medical, and transportation. Before deciding to move ahead with the mortgage loan process, you should look at the pros and cons carefully. Analyze your budget and other monthly payments to see if you can manage a house payment. Check the qualification requirements. This is a rigorous process. You need to visit a number of lenders and find out their individual loan requirements. Check current mortgage rates, processing times and the amount of funding that you can qualify for. Some options for single moms include HUD loans, FHA loans, subprime loans, seller financing and rent-to-own. After doing this, you will know which lender will give the most funding paired with the lowest possible interest rate and down payment. Seek financial advice. If you are not financially savvy, you should consider seeking the advice of a financial adviser. They will provide you with information on the different types of mortgage loans, helpful programs, and other requirements that match your current needs with your financial situation. The financial adviser can easily predict how much you are likely to qualify for given your income, expenses, and credit score. Prepare all required documents. Among the documents that your lender will require includes your driver’s license, a utility bill and your social security number in order to authenticate your application. The lender will also require documents indicating your income, IRS tax returns, a recent bank statement and a letter from your current employer. Apply for the mortgage. A mortgage takes about 1 to 3 months to process. However, the processing period could be shortened if you provide all of the required documents in a timely manner. In other cases, you may qualify for a lower amount than the estimate you had from the financial adviser. If you find out these details in advance, then you will have more time to seek a subsidy or other mortgage program for single moms. Hunt for the right house. As the lender continues to process the loan, start hunting for the right house that fits your tentative budget determined during the loan pre-qualification stage. Among the factors you should consider when choosing a home is the cost of insurance, the location, price, taxes, maintenance and repairs. Close the deal. As simple as it sounds, this is a very tricky stage in mortgage processing. The closing costs include the agent’s fees, appraisal fees, processing fee and the lawyers. Add up all of these costs and find out whether or not you can manage to make the down payment. While the interest rate may be low, these costs can be high. You should calculate and select the option with the lowest total cost. Make the down payment. If the lender gives you the go ahead, you should make the down payment within the stipulated time period. In most cases, the down payment is 3.5% (excluding the closing costs). You should also have extra money set aside to take care of additional costs such as transportation, mortgage loan documentation and moving costs. Move in to your house. Once the mortgage has been approved and the down payment has been made, the lender will grant access to your home. Take care of your investment so that your home maintains or even increases in value. As you make monthly payments over the years, your home equity will keep rising. Mortgage lenders may reject some applications for various reasons, from having too low of income to having too low of a credit score. If you were denied, there are still options, so check alternatives offered by HUD and the FHA. By retirement age, most people will have gone through the mortgage process at one point or another. The mortgage obtained would have been either to obtain a new home, lower a current mortgage rate, take out cash as a result of home equity, or to reduce the term of an old mortgage. At retirement age, a person is finally eligible for a reverse mortgage. Read on to discover the advantages of a reverse mortgage and how to get one. Tax free cash. A reverse mortgage is not a lump sum or additional income. A reverse mortgage borrower therefore enjoys tax-free cash. No default risk. Unlike other mortgage loans where you risk losing your home and other assets by virtue of default, you could only lose your home if you default on the home equity loan. The lender has no right whatsoever over your assets. Federal insurance cover. The most common reverse mortgage is the Home Equity Conversion Mortgage (HECM). It is federally insured; you still continue to receive your cash payments even if your lender defaults. Home ownership is retained. Unlike other mortgages where the lender maintains the ownership title, you retain the ownership title yourself. You can therefore live there all the time, make changes to the home’s appearance and structures or even sublet some rooms depending on the terms of the lender. Flexible payment options. Depending on your cash needs and financial circumstances, you get to choose how you would like to receive cash payments. You can receive the cash as a lump sum, as a credit line, as an annuity or a combination of the last two methods. 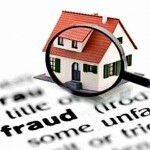 Conduct detailed research on reverse mortgages. Obtain thorough information related to reverse mortgages on the web. If you receive unsolicited invitations, then don’t respond to them because they could be scams. Look to your friends, family members and acquaintances for tips who may have taken reverse mortgages before. Compare quotes. There are several lenders who will definitely make attractive offers. Compare all of the quotes from these lenders. With the help of a mortgage calculator, find out how much you need to repay monthly without straining your income sources. Pick the lenders with the most competitive rates. Consult potential lenders. Once you’ve narrowed down the list of potential lenders further, consult necessary resources so that you are sure about the most appropriate lender. For instance, you could find out whether they are registered by the National Reverse Mortgage Lender Association (NRMLA) or the Better Business Bureau (BBB) and whether they are approved by the FHA. Don’t forget to check the testimonials from previous borrowers. Inquire about all terms and conditions. If you want a HECM reverse mortgage then you should opt for the best terms and conditions because these vary from lender to lender. These include interest rates, credit score qualifications and closing costs, among others. Narrow down to a single lender with the most suitable terms and conditions. Apply for reverse mortgage. Furnish the lender with your application done in person. The documents which may be required include proof of age (ID card or Driver’s License), proof of your Social Security Number and a copy of your homeowners’ insurance cover. Where applicable, you may also be asked for a complete copy of the family trust, a copy of the power of attorney, an original death certificate and a statement of any mortgages on property. Review your application forms carefully before submitting them. Get counseled. One of the requirements of HUD is that any reverse mortgage applicant be counseled by a HUD-approved third party. You can choose to attend the counseling session via phone or in person. Loan processing will not commence until you’ve obtained a signed certificate from the counselor. You may attend the training session in advance even before applying for the loan. Inspect and obtain an appraisal report of the home. With your application forms and counseling certificate, you can now have an appraisal done on your home. The lender will refer you to an FHA-approved appraiser to furnish you with a detailed appraisal report. It is advisable that you are available during the appraisal process so that you make any inquiries and answer any questions from the certified appraiser. Loan underwriting. Your loan must be underwritten by an underwriter who is approved by FHA. The lender will refer you to an underwriter. Close the deal. Once underwriting is done, you will arrange a meeting with the lender to finalize the deal. It is important at this stage to review all your application forms once again in order to confirm that all the information you submitted is correct. Confirm all the terms and conditions once again just to be sure of what you are committing to. You can then sign the papers and close the deal. You have three business days after signing the deal to change your mind if you think otherwise—referred to as the rescission period. Obtain the funds. Once the deal is sealed you will receive the funds. You can choose to receive the funds as a lump sum, a monthly fixed payment, a line of credit or a combination of the last two methods as you deem fit. You can use the cash to pay off your mortgage and any other existing loans as it suits you. The maximum lending period for a reverse mortgage is 15 years. Re-evaluation of your property will also be taken once every 5 years of the term of the loan. Compared to other loans, this is one you should almost certainly take advantage of!